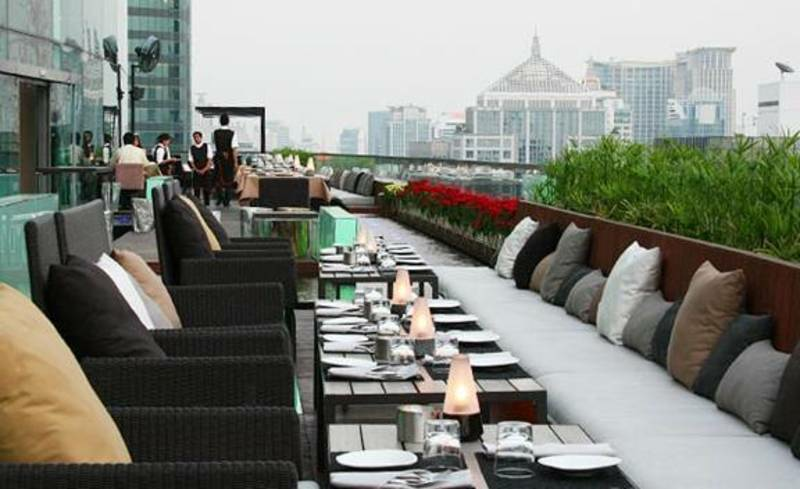 Vertigo Rooftop Restaurant, Floor 61, Banyan Tree Hotel, 21/100 South Sathon Road, Sathon, Bangkok 10120. +66 2 679 1200. The amazing Vertigo restaurant is not for the faint-hearted, but where else can you dine so high, al fresco, while checking out the city's rooftops! On top of the Thai Wah II Tower 'n Bar. Open daily (weather permitting) 6pm to 11pm. email. MAP Moon Bar, Floor 61, Banyan Tree Hotel, 21/100 South Sathon Road, Sathon, Bangkok 10120. +66 2 679 1200.